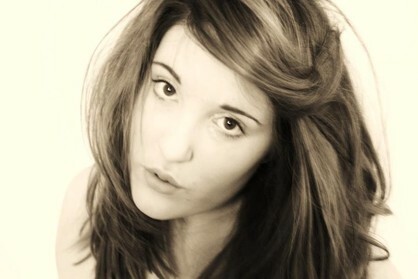 A final year Northampton University drama student who loved life and her family. Beth was well liked from her school days and this continued through her university days. She brought so much kindness to the world. One of the biggest tributes to Beth was the amount of people who attended her service. The university laid on transport for her friends and lecturers to attend and her drama group read poetry and sang “True Colours”, acknowledging it as one of her favourite songs. There were many floral tributes displaying Beth's favourite Sunflowers and Daisies. Old school friends attended in their numbers and her school drama teachers were also present. Beth’s sister Lydia read out her own very moving personal tribute to Beth and some of Beth’s favourite songs were played. The respect and dignity shown by all her friends and family summed up what a beautiful young lady she was. Beth’s family notified immediate family and friends during this terrible weekend and requested that their privacy be respected and that an annoucement would be made once they had come to terms with this tragedy and the events of the last few days. Although there were a lot of young people struggling to cope with Beth’s passing, not one person wrote anything on the social media websites. All that occurred over the 2 or 3 days it took the family to make an announcement was that every one of Beth’s family and friends changed their profile pictures to a new picture that included Beth. A single pink heart was displayed on her cousins facebook page which was inundated with likes from all Beth's family and friends, but not one comment was made. It just was a demonstration of their love and repect for Beth. It was remarkable and lovely to witness. It demonstrated that her sad and early departure left everyone with a massive void in their lives. But Beth had one more important impact to make on all our lives. She wanted to donate her organs. She had held many discussions with her family at home and when this terribly sad event happened, because the family had openly discussed this issue with Beth, they had no hesitation in agreeing to donate Beth’s organs. Such a decision would have been impossible at such a totally devastating time without the prior family discussions surrounding the issue and the clear understanding of what our family members wanted. All we hope for is that you seriously consider, and more importantly, discuss with your family and friends the concept of organ donation. If you decide that you want to support organ donation, then act on it and join the register.